EA's fledgling On-The-House program has given away some fairly generic (although acclaimed) games so far; Peggle, Dead Space, Battlefield 3 have all been made available for free for a limited time. Add them to your library, and they're yours to keep forever. You know, as long as you're okay with installing EA's Origin storefront. But this time, EA's gotten weird—in a good way. Origin is currently giving away copies of Wing Commander III, which has the rather incredible subtitle "Heart of the Tiger." 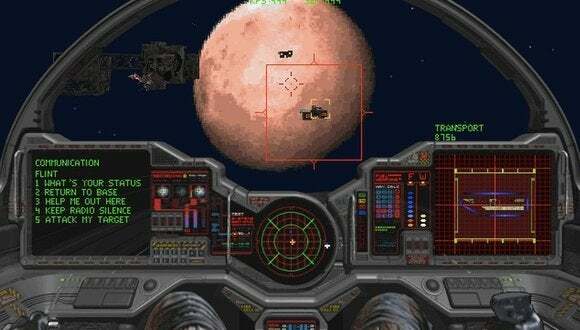 Released in 1994, Wing Commander III is part of the revered Wing Commander series of space sims, which held reign during the nineties and act as spiritual predecessor to Star Citizen, a.k.a. the crowd-funded game that's raised more than $44 million. 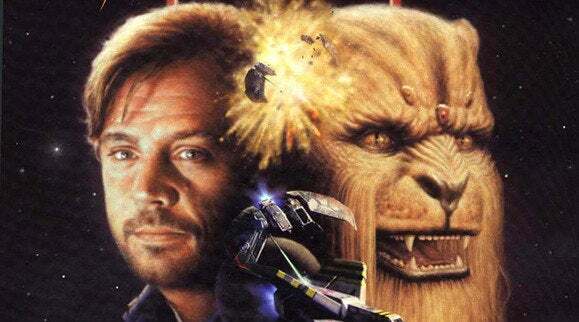 The actual game part of Wing Commander III doesn't hold up very well nowadays. It's... ugly, to say the least, although still pretty fun if you can get past the visuals. But Wing Commander III came along during the heyday of full-motion video (FMV) cutscenes—in other words, live actors filmed with legitimate cameras. (For a more recent example, Tesla Effect recently resurrected FMV star Tex Murphy for an outing.) Wing Commander III is full of badly-acted, awkward FMV scenes, and which poor sods did they sucker into making an appearance? Mark Hamill is sad because there are no razors in space. Oh, just some no-name actors like Mark Hamill, Malcom McDowell, John Rhys-Davies, Thomas Wilson (better known as "Oh wow, that's Biff from Back to the Future! "), Josh Lucas, and a ton of other character actors. Hell, even Tim Curry did a voice for the game. Don't pass this one up. As I said, you'll need to install Origin to cash in, but if that's okay with you then head over here. Need convincing? Bask in Wing Commander III's intro.